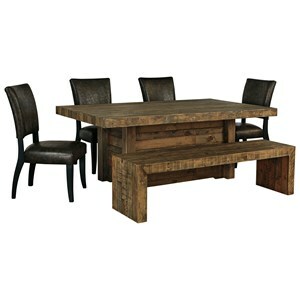 The chic dining room table set will add rustic charm to your breakfast nook or casual dining area. 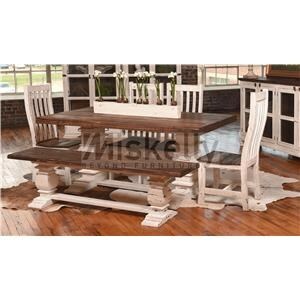 The set features a farmhouse style table with thick angled legs and diagonal supports. The dining bench looks like a smaller version of the table with matching legs. The lovely dining side chair have clean wooden sets with a double x-design forming the backrest. 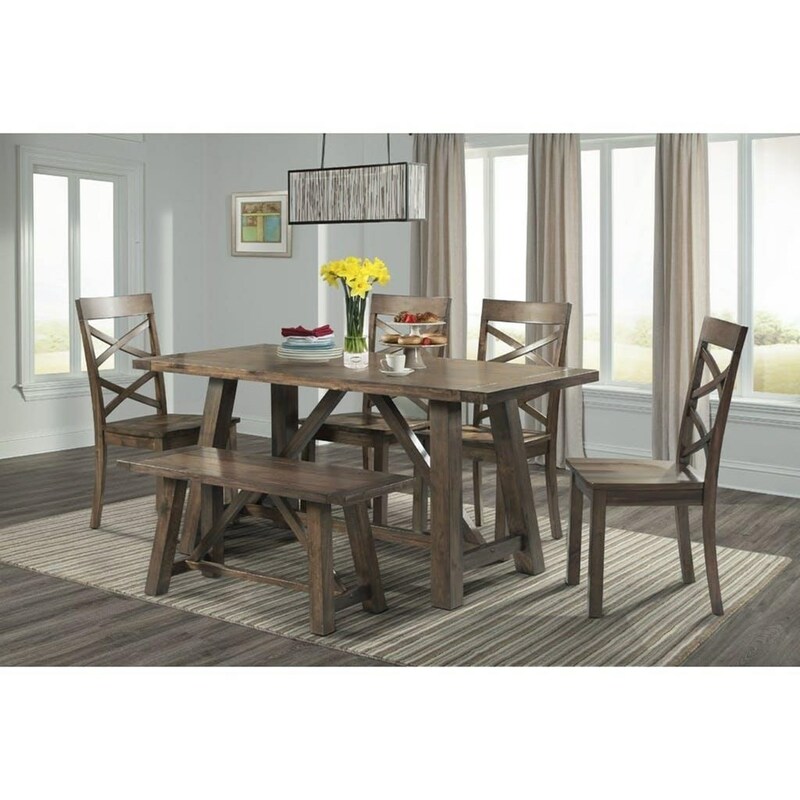 The Renegade Rustic Six Piece Dining Set by Elements International at Miskelly Furniture in the Jackson, Pearl, Madison, Ridgeland, Flowood Mississippi area. Product availability may vary. Contact us for the most current availability on this product.